Before 1954, both law and custom mandated strict racial segregation throughout much of the nation. That began to change with Brown v. Board of Education, the landmark decision that overturned the pernicious "separate but equal" doctrine. 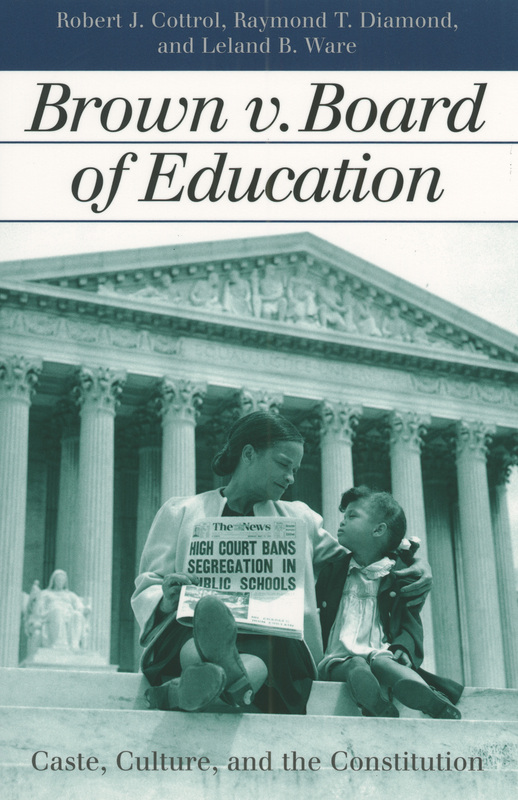 In declaring that legally mandated school segregation was unconstitutional, the Supreme Court played a critical role in helping to dismantle America's own version of apartheid, Jim Crow. This new study of Brown—the title for a group of cases drawn from Kansas, Virginia, South Carolina, Delaware, and the District of Columbia—offers an insightful and original overview designed expressly for students and general readers. It is concise, up-to-date, highly readable, and very teachable. The authors, all recognized authorities on legal history and civil rights law, do an admirable job of examining the fight for legal equality in its broad cultural and historical context. They convincingly show that Brown cannot be understood apart from the history of caste and exclusion in American society. That history antedated the very founding of the country and was supported by the nation's highest institutions, including the Supreme Court whose decision in Plessy v. Ferguson (1896) supported the notion of "separate but equal." Their book traces the lengthy court litigations, highlighting the pivotal role of the National Association for the Advancement of Colored People and including incisive portraits of key players, including co-plaintiff Oliver Brown, newly appointed Chief Justice Earl Warren, NAACP lawyer and future Supreme Court justice Thurgood Marshall, and Justice Felix Frankfurter, who recognized the crucial importance of a unanimous court decision and helped produce it. The authors simply but powerfully narrate the obstacles these individuals faced and the opportunities they grasped and clearly show that there was much more at stake than educational rights. Brown not only changed the national equation of race and caste—it also changed our view of the Court's role in American life. The dramatic story of the road to and from Brown, despite the retrenchments of recent years, needs to be heard anew. As we prepare to commemorate the decision's fiftieth anniversary in May 2004, this book invites readers to walk that road again and appreciate the lasting importance of what is indisputably a landmark case.